The Edible Bowl Maker is a fun and easy way to add creativity to your favourite dishes. It is the perfect way to make delicious edible bowls that will add style and flavor to any snack or meal. The Edible Bowl Maker is a fun and easy way to add creativity to your favourite dishes. It is the perfect way to make delicious edible bowls that will add style and flavor to any snack or meal. The reverse side of the Edible Bowl Maker can be used to bake delicious muffins and tarts. With the reversible Edible Bowl Maker you can use classic recipes or create your own to make just about anything from ice bowls, meatloaf and mashed potatoes to filled cakes and brownies. Adults and kids will enjoy baking, filling and eating appetizers, meals and desserts with it. The Edible Bowl Maker has a nonstick cooking surface for easy clean up and ensures that your edible bowls are perfect for every occasion. It is made of a heavy carbon coated steel construction for more even baking. This handy tool makes the perfect gift to any cook. Create filled cakes with incredible flavour combinations using these convenient non stick pans. you will serve delicious filling with a pretty heart shape in every bite. The patented recessed design creates a contour you can fill with ice cream, fruit, mousse and more, just bake, fill, flip and frost. 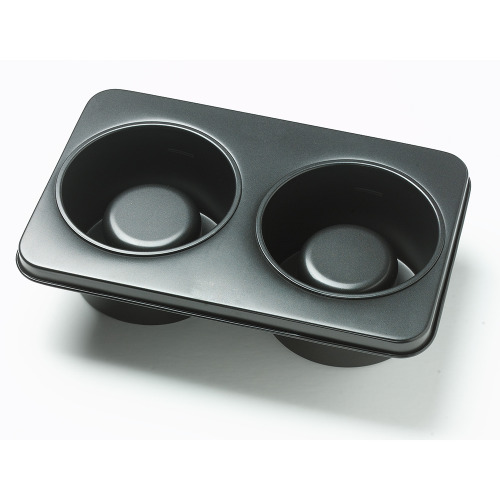 The premium non stick coating provides easy release so cakes unMould perfectly from the pan. 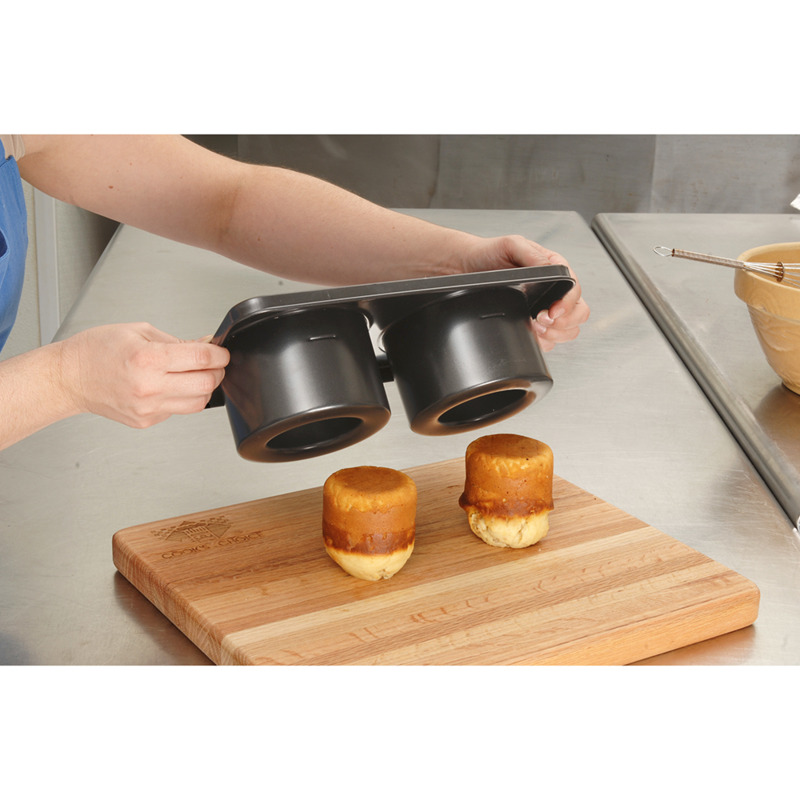 - Carbon steel distributes heat quickly and evenly for consistent baking results. - Non stick coating reinforces our pans making them more resistant to abrasion and releases food with ease. - Won’t corrode or rust, even with heavy use.